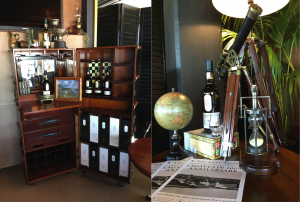 We had great fun this week setting up two pop bars as part of a Lagavulin whiskey brand activation. 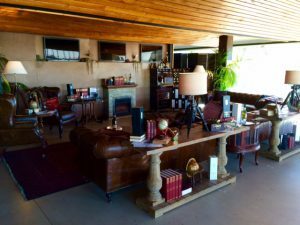 This is one of those themes where all our hunting and collecting, visiting auctions and trawling through second hand stores (as well as Ebay and Gumtree) really pays off! 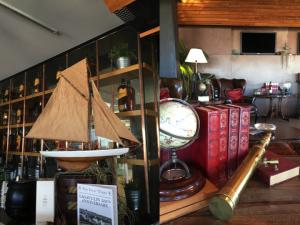 Using a similar combination of our vintage decor and rustic nautical props we were able to bring to life two very different spaces and really showcase the Lagavulin product. From a small, dark, hipster bar in Surry Hills to a modern high rise office complex with iconic Sydney views there is nothing a good bit of styling can’t transform. 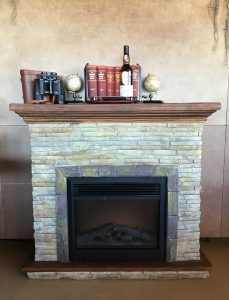 Our new stacked stone and wood look electric fireplace stole the show at activation two. We can’t wait to feature this product in more spaces as it has so much potential to create a wow factor, not to mention bring a bit of warmth to a space. Lagavulin whiskey originates from Islay, a small island off the coast of Scotland and is now a well established, historic brand. 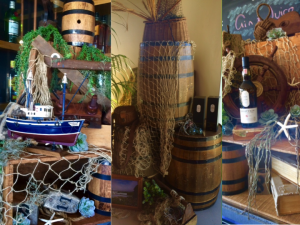 So with this in mind we used props that display a rich sense of history, exploration and, of course, the sea.